The same day Wang Bingzhang completed his dissertation defense in September 1982, he asked his brother Bingwu, an engineering graduate student also attending McGill University, about future options. To return to China in glory and enjoy boundless prospects was Bingwu’s answer. But he didn’t know his older brother had long made up his mind to be something else. Wasting no time, Dr. Wang went to New York to look for like-minded people along with a detailed plan for setting up a magazine. On November 17, 1982, he and his friends held a press conference in Room 524 of the Hilton Hotel to announce the founding of China Spring. The same day he published in the World Journal (《世界日报》), the largest Chinese newspaper in America, his announcement to abandon medicine and become a campaigner for democracy in China. He hinted at his involvement in the ill-fated Xidan Democracy Wall Movement in Beijing in the spring of 1979 when he was preparing to studying abroad, and the deep reflection induced by the sudden arrest of Wei Jingsheng who, on the democracy wall, called for China’s “fifth modernization,” or democracy, beyond the four modernizations outlined by Deng Xiaoping. The next day, the New York Times ran a story titled Student from China Defects to Establish New Rights Journal. It sounds hesitant as if not knowing what to make of the event, and nearly one third of the 370-word story is spent combing through a string of numbers: how many students China had sent to study abroad, how many applied for political asylum, and how many were rejected. The word choice “defect” does not help. The publication was a big event to New York’s Chinese communities and beyond. It quickly sold hundreds of copies and had to be reprinted. It received so much mail from around the world, even a few from inside China, that the post office had to deliver them in bags. As the group set up the magazine, it also sent people to universities across the US, and as far as Paris, to hold lectures and recruit followers. According to the New York Times, there were over 10,000 Chinese students studying in the US around that time, and roughly half of them were sent by the Chinese government. In the second issue in March 1983, China Spring defined what would constitute the first steps of political reform in China: Lift the ban on a free press; lift the ban on forming political parties; freedom from political interference by the military; and freedom from political prisoners. In an editorial titled Let’s Paint the Future of the Fatherland in the third issue of China Spring in May 1983, Dr. Wang Bingzhang and his co-author Mr. Huan Guocang (宦国苍) proposed five goals for political reform and five goals for economic reform. The five goals for political reform were: 1. Abolish one-party rule; 2. Separation of party from the government, military and judiciary; 3. Separation of the executive, the legislation and the judiciary; 4. Direct election of national leaders; and 5. Federalism. The five goals for economic reform were: 1. Establish a market economy; 2. The co-existence of multiple economic systems; 3. Protection of private property; 4. Independent unions; and 5. Farmers’ land ownership and usage rights. This was when the name of Brezhnev was still warm on people’s lips and Taiwan would not be lifting its ban on a free press and other political parties for another five years. Thirty years later in 2013, China’s state media is crusading against universal values, citizens are locked up in prisons for basic political expression, and liberal intellectuals are being shut up for making calls that are timid compared to that of Dr. Wang Bingzhang’s in 1983. Dr. Wang Bingzhang travelled to Hong Kong, Taiwan and elsewhere to speak to the Chinese communities and establish connections. He once said that the frontline of China Spring was not in the US but in Hong Kong. In the years to come, he would interact with Taiwan’s Nationalist government (Kuomingtang) under Chiang Chang-kuo. But that connection was eventually severed. It is said that he had the imprudence to propose an opposition party in Taiwan when the authoritarian KMT was scrambling to contain an opposition movement on the island. On the last day of 1983, China Spring announced the formation of the Chinese Alliance for Democracy (中国民主团结联盟), the first organization dedicated to the democratic movement in mainland China. Dr. Wang Bingzhang and his friends lived in New York City’s slums, labored long hours, and suffered from chronicle money shortages and through incessant internal strife, in anonymity to much of the English-speaking world. The Alliance was said to have more than 3,000 members in those years. In May 1987, the New York Times sought out Dr. Wang Bingzhang again, this time because his organization had been denounced by China as ”politically, economically, culturally, morally and hygienically detrimental to China” as the CCP launched a political “campaign against capitalist liberalization” earlier that year that resulted in the removal of Hu Yaobang (胡耀邦), the then party Secretary. CHINA OPPOSITION THRIVES IN QUEENS, the NYT reported, describing Dr. Wang as a man with “bland manners” who spoke quietly, and China Spring, now over four years old, as “a monthly collection of political analysis, profiles, documents and commentary” that “first caused a stir among Chinese scholars and students in the United States” and then rattled the Chinese government. According to NYT, Dr. Wang Bingzhang was criticized for being sensational by some for his criticism of birth control, for the materials his magazine had selected, including “student wall posters lambasting the country’s leaders.” Why—I caught myself thinking, how much Dr. Wang Bingzhang would relish the Never-ending Weibo Spoof Fest these days! That student movement indeed happened in the spring and early summer of 1989, and remains the single most inspiring event over the last two decades in China and is still feared by the Chinese government. Sadly for Dr. Wang Bingzhang, he was ousted from the chair of Chinese Alliance for Democracy that same spring due to internal strife. 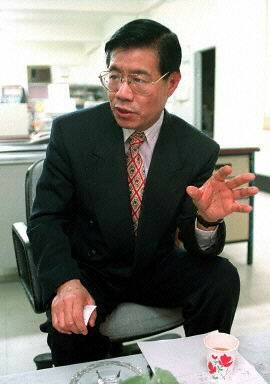 Dr. Wang Bingzhang (王炳章) in the 1990s. Ousted but still active in the movement, he became an insurance broker for MetLife, and his clientele consisted of connections he had built over the years in the Chinese American communities. He traveled around the country, giving passionate speeches about the democracy movement he had spearheaded and selling insurance afterward. He was allowed to advertise in China Spring, and in return, he was required to give 70% of what he made beyond $30,000 a year to the organization. He became a star broker. He bought a little house in Long Island and furnished it with odd pieces of discarded furniture. But he was soon accused of not handing out enough of his earning, and his clients were urged to withdraw their patronage. Two years later, his house was foreclosed on, and his wife returned to Canada with their young children. Throughout the nineties, as a steady flow of Chinese dissidents and liberal intellectuals arrived in the US following the Tian’anmen movement, Dr. Wang Bingzhang made several attempts to work with them to form new opposition parties without success. In early 1998, he used a falsified ID to sneaked back into China to form the Democracy Party. Two weeks into his trip, he was arrested and subsequently deported, most likely due to China’s eagerness to host President Clinton’s visit that year and its ongoing effort to join WTO. But the Chinese government arrested everyone who had met with him and handed each heavy sentences. Dr. Wang was roundly condemned by overseas democracy leaders, many of them his former colleagues and friends. On the other hand, the Democracy Party of China still exists today inside China and its members are routinely imprisoned or harassed, and some are serving second or third prison terms, such as Liu Xianbin (刘贤斌) and Zhu Yufu (朱虞夫). I admit that, writing this brief profile of Dr. Wang Bingzhang, I am in no capacity to sort out all the strife and accusations from the 1980s and the 1990s, nor can I say I have learned enough about Dr. Wang Bingzhang. But when people who personally knew or worked with Dr. Wang pointed out that he spoke ill of no one despite the fact that he was often the target of some of the verbal wars, I really appreciate it, to the point of feeling a tenderness toward the man, because even to the most casual observers like myself, the overseas democratic movement is best known for, alas, personal attacks and pettiness and for its steady decline after Dr. Wang. In 1997, Dr. Wang Bingzhang published a pamphlet titled The Path to China’s Democratic Revolution (《中国民主革命之路》), also known as the Handbook of the Democratic Movement (《民运手册──中国民主化运动百题问答》). In eight parts and answering 120 questions, he discussed topics such as why China had yet to make the democratic transformation, the legitimate strategies and tactics of the movement, issues about Taiwan, Hong Kong and Tibet, his ideal China. He also refuted some prevalent misconceptions about the movement. The book became controversial because it promoted “revolutionary practices” that in today can be regarded as terrorist tactics. He floated the idea of occupying a city, for example, creating the modern-day version of the “Wuchang Uprising” in the 1911 revolution that toppled the Qing Dynasty. “Revolution,” Dr. Wang Bingzhang wrote, “is not a matter of whether you like it or not. It will occur when it becomes inevitable, and it is a matter whether or not the rulers will have created conditions for it.” “Revolution doesn’t have to mean replacing one tyranny with another,” he wrote. He gave the American War of Independence as one of the best examples. “On the other hand,” he continued, “regimes established through peaceful means are not necessarily democratic,” and he gave Hitler in Germany and Marcos in Philippines as examples. As I write, a heated discussion about violence and non-violence is going on in Twitter’s Chinese community for the 100th time. I can tell you outright there is no shortage of Li Bingzhangs and Liu Bingzhangs, and Dr. Wang Bingzhang was right about the matter being largely in the hands of the rulers, not the people. 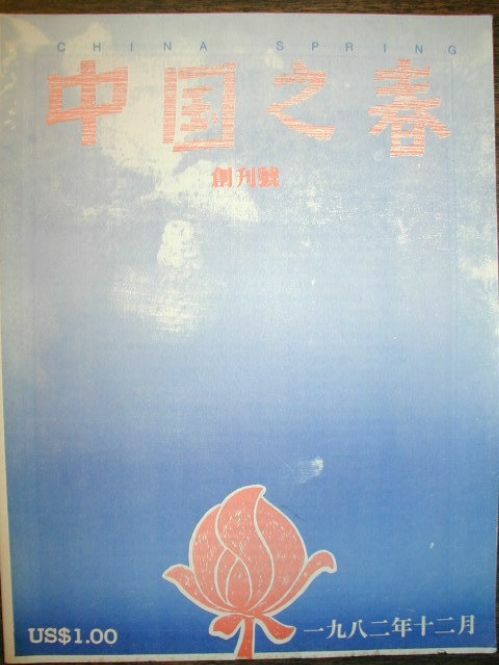 In March 2000, Dr. Wang Bingzhang published an essay titled Rebuilding the Republic of China (《重建中华民国》). “Rebuild,” he wrote, “means to restore what was there before it had been destroyed.” The logic for rebuilding the Republic of China, he wrote, was clear: The Chinese nation had a republican, democratic regime before, and the Constitution of the Republic of China, passed in November 1946 in Nanjing by the National Assembly to Formulate the Constitution (制宪国民代表大会), was “more democratic than the American Constitution” (Hu Shi, 胡适). Dr. Wang Bingzhang advocated “uniting China with democracy” and restoring the Republic of China as a simple and convenient replacement of the CCP regime. He’s not alone in this. Returning to the pre-1949 era has had a growing following in today’s China. On Weibo and elsewhere, you will catch a glimpse of the flag of the Republic here and there, and dissident Chen Yongmiao (陈永苗) is a representative of this trend. “Drive off the Marxism and Leninism, restore Sun Yat-sen, overthrow the Chinese communist party, and rebuild the Republic of China.” In 16 Chinese characters, he thus crystallized his answer. There has been differing speculations regarding what Dr. Wang was doing in Vietnam, one being that he planned to sneak into China to lead an armed uprising, another being that he was in Vietnam to meet leaders of the workers’ movement. And there is a third theory. None has been established. On February 2003, Dr. Wang Bingzhang was given a one-day trial held behind closed doors, during which he was not allowed to speak, no evidence was presented, and no witnesses were called. He was convicted and sentenced to life imprisonment by Shenzhen People’s Intermediate Court, the harshest sentence handed out to a political prisoner since 1978. By China Change in Human Rights & Civil Rights, Interviews, Political Transition on October 4, 2013 . The Party was truly afraid of Dr. Wang Bingzhang. He has spent all these years in jail and in poor health. Jailed, like so many others Chinese who give their life and heart for a free and fair China. The future does not look good for the Communist Party. They think like Gaddafy that they are China. They will crush the New Citizens Movement, and every dissident and group. But in doing so they only strength what will kill them. Xi Jinping can see it over his shoulder, it withers their environmental policies, and turns each other into pools of suspicion.